Telugu celebs Koratala Siva, Mohan Babu M, BVS Ravi and Kona Venkat are upset that Prime Minister Narendra Modi and Arun Jaitley didn't give AP special status. Koratala Siva, Mohan Babu and a few other Telugu celebs have urged Prime Minister Narendra Modi and Finance Minister Arun Jaitley to fulfill their promise of providing Special Status to Andhra Pradesh. Andhra Pradesh has faced some severe problem since it was bifurcated for the formation of Telangana. There has been a strong demand from the people of the state since bifurcation for special aid. During the campaigning for the 2014 Lok Sabha elections, Narendra Modi and Arun Jaitley had apparently promised they would give special status to Andhra Pradesh if their party came to power at the Centre. Four years have passed since the BJP-led NDA came to power, but there is no sign of the party fulfilling its pre-poll promise to the state. After a prolonged fight, Chief Minister N Chandrababu Naidu withdrew his support from the NDA government on Wednesday night and said he had taken the decision in the interest of the people of the state. Naidu tweeted: "The Centre has been taking one sided decisions and our patience has run out now. When the purpose of joining the union cabinet hasn't been fulfilled, it's best to resign now." It is very well known that many celebs from the Telugu film industry are very fond of Prime Minister Narendra Modi. They have often hailed his work and extended their support to his social initiatives like Swach Bharat. But they are now very upset with him because he has not kept the promise he made to the state. After N Chandrababu Naidu announced his decision, some of those celebs took to Twitter to rail against Narendra Modi and Arun Jaitley for their failure. Here are their Twitter comments. Koratala Siva: Let's all make @narendramodi ji a MAN by reminding his promise to Andhra Pradesh. Do u honestly feel that telugu states are a part of India sir? BVS Ravi: Measures hv to be taken to bring accountability in the promises made by the leaders during elections. The lame reasons sighted by @arunjaitley ji n govt rejecting demands of our rights regarding SplStatus is a mockery of electorial politics. 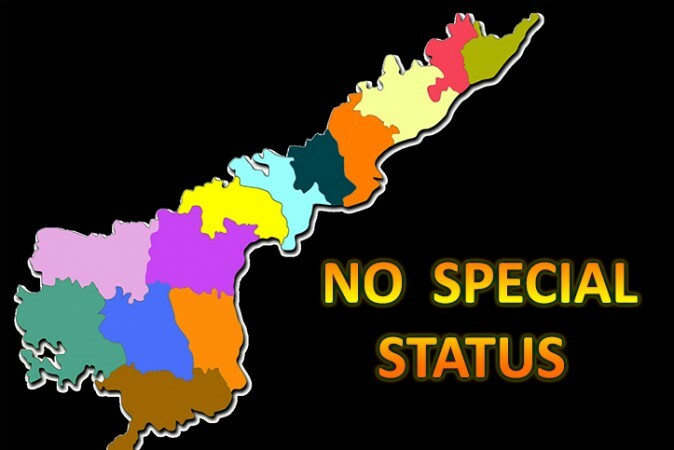 Constitution is amended several times in the Parliament for a better country and when a bill can bifurcate a state into two,what stops the introduction of an other bill to issue special status to AP. @arunjaitley @narendramodi ji On every political stage in AP, @narendramodi ji argued for a special state. @SushmaSwaraj ji named herself as #Chinamma claiming the credit for bifurcation. There is no such action from @arunjaitley which makes him a better FM from d previous one. Kona Venkat: @narendramodi ji never ignore the sentiments of people in this country.. Telugu people are even more sentimental.. "Special Status" is our sentiment today and we trusted u blindly when u promised the same in ur campaign.. Only 2 things will happen now.. Either u GIVE or we TAKE.